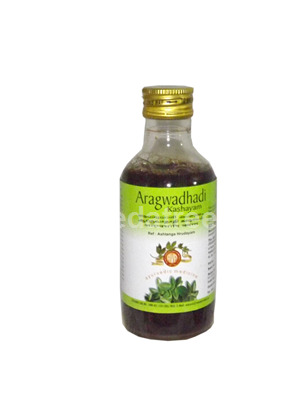 Aragwadhadi Kashayam is a herbal in liquid formulation. In the treatment of vomiting, diabetes, skin diseases with itching and non healing wounds. 12-24ml with equal quantity of hot water once or twice or as directed by the physician.